Ann (Margot Robbie) lives alone with her dog after a disaster that wipes out most of humanity, that is until two men, John Loomis (Chiwetel Ejiofor) and Caleb (Chris Pine), stumble into her safe world. Z for Zachariah is an eerie film. You get to see how Ann lives a monotonous yet safe life while the rest of civilisation seems to have disappeared. She’s obviously strong and resourceful but she has an air of naivety around her as she doesn’t know what it’s really like outside of her little bubble of safety. So when she encounters first John and then Caleb, who both appear to have seen terrible things, she’s very trusting and comes across much younger than the two of them. Z for Zachariah is beautifully shot and has some haunting music. It’s a film that takes its time, letting you get to know these characters and their relationships as it slowly builds small hints of conflict between them. The three actors are all brilliant and they all have good chemistry and the dynamics presented between their characters is interesting. 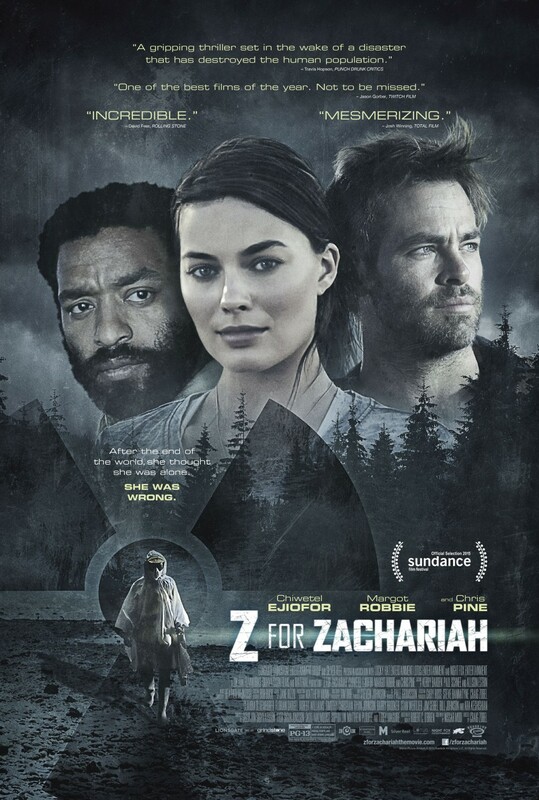 Z for Zachariah is a gripping drama and is definitely one of those films that its best to go into knowing as little as possible. 4/5. Secret government agent Amanda Waller (Viola Davis) puts together a team of supervillains to take on a dangerous covert mission in exchange for shorter prison sentences. Suicide Squad tries to juggle a lot. There’s a lot of characters so it begins with a bit of backstory for more of the major ones, namely Deadshot (Will Smith), Harley Quinn (Margot Robbie) and Rick Flag (Joel Kinnaman) courtesy of Amanda Waller and a case file. The rest of them have less than a minute backstory and trying to set up all these characters this way did make the film slow to start. However, when you think the backstories are done and you can focus on the main plot of the movie, i.e. the mission, there’s flashbacks sporadically throughout the film that really interrupts the flow of the whole thing. As well as the mission at hand, there’s also the Joker (Jared Leto) in the background, popping up every now and then to cause problems and provide more of a backstory for Harley Quinn. Much has been made of this new Joker and while he is naturally a lot different to previous incarnations, he is just OK. He is more of a gangster and his voice and laugh does sound odd and not necessarily in a good way but he is not on screen enough to really make much of a last impression. The soundtrack to Suicide Squad is notable but not in a good way. It’s full of memorable songs ranging from Eminem to Queen and even features Spirit in the Sky by Norman Greenbaum – that one really doesn’t fit in the film. It’s as if the filmmakers wanted to have music queues for certain characters and just shoved in as many cool songs as they could think of. It was jarring and didn’t work for a lot of the film. Suicide Squad is an entertaining film for the most part but it’s not as fun as the trailers make it out to be. Also while you don’t need jokes in every superhero film, any attempt at humour in Suicide Squad fell flat. Lines of dialogue or moments that were clearly set up to cause a reaction from the audience just don’t. These characters are an eclectic bunch and with a good script they could easily have bounced off each other and had some humorous moments or lines but there was nothing. 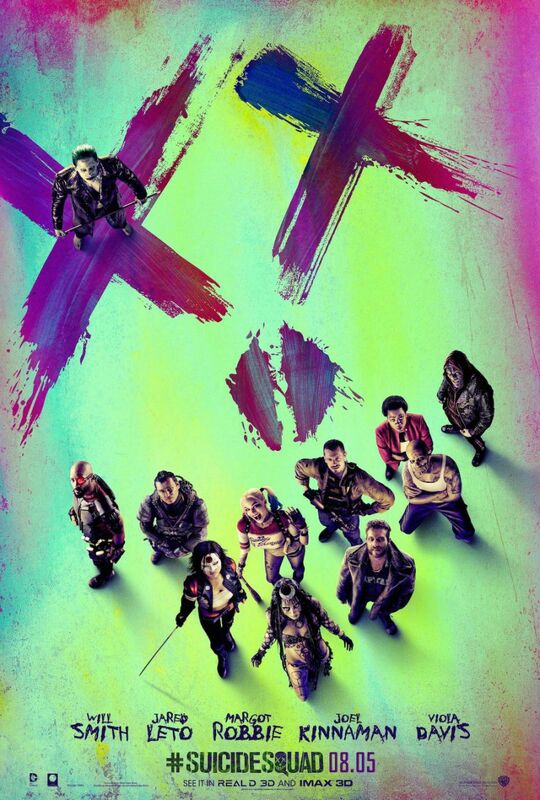 The big problem with Suicide Squad is by the end of the film, it wants you to feel like these characters all care about each other and even go as far to see themselves as a family unit, but it doesn’t do enough to make you feel that way. The film keeps focusing on the mission rather than the characters on the mission. Deadshot and Harley Quinn are the most fleshed out on the team and they actually have multiple interactions so you can see their relationship grow but all other characters are secondary and barely have any lines between them. Suicide Squad is OK. The action sequences are entertaining but the film does nothing to make you care about these characters and that’s where it really falls down. 2/5.